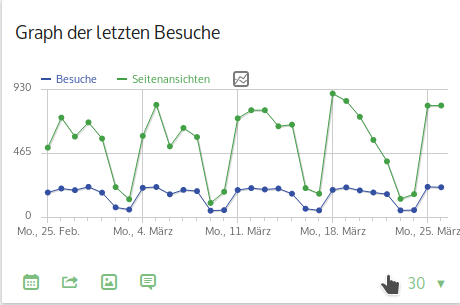 Since I updated from 3.8.1 to 3.9.1 (I skipped 3.9.0) the number of visitors are always equal to the number of page views (maybe the first one). This is a show stopping bug. Are you sure this is not just a strange coincidence? Everything works as intended for our two instances. Yes I’m sure, that’s really a bug. Here’s a screenshot and you can see since friday (I installed the new version on friday morning) the two lines are identical. I think I cannot help you with this issue than. After finishing this, it seems that Matomo is correct working again.